Every travelers needs a few good pairs of black pants. You can wear black pants with anything. The key is to find travel pants that are both comfortable and stylish. We recently tried two pairs we recommend: Trapunto Stitch-Pocket Pants and the Wear-Everywhere TravelFit Pants. Trapunto Stitch Pocket Pants drape softly and comfortably across your figure. They go well with the 3-in-1 Jacket. The Wear-Everywhere TravelFit Pants are a travel wardrobe classic. These black twill pants are designed with an elastic waistband for added comfort. They also contain a secret pocket. We tried them and we recommend them. 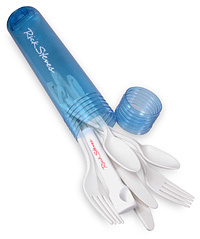 Picnic Set -When traveling, it always helps to bring your own forks, knives, and plates. Why? Because it will save you money, especially in Europe, but anywhere, really. One of the most inviting and memorable travel experiences can be found just going to the local market and picking up a little of this and a little of that so you can eat what locals eat. It’s oftentimes cheaper than eating in a restaurant and faster, too. Travel Umbrella — Rick Steves Travel Umbrella is one of the best we’ve seen. 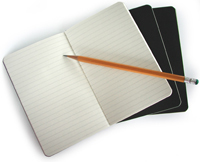 It has a slender design yet opens wide. It’s compact and lightweight, so you’ll hardly notice you’ve brought it – until you need it — and then, you’ll be so glad you did. If you’re looking for a travel accessory that will save you time, carry a travel hair dryer with you. You can use a travel hair dryer to dry your hair, of course! But you can also use it to dry your clothes! If you want to make the most of your carry-on, you have to be able to wash clothes on the go, even if it’s just undies and nightshirts…but the most difficult part behind the theory of “wash n go” is drying the clothes! If you travel to tropical, humid places like we do, then you know how quickly clothing can become moldy and musty if you dry it overnight. That’s why having a travel hairdryer will really freshen things up. We recommend the Dual-Voltage Micro Turbo Hairdryer carried by Magellans. It’s compact, powerful, and you can even purchase it with a set of adaptor plugs.